Europe's finest golfers, sparked by a record-setting victory for Italy's Francesco Molinari, recaptured the Ryder Cup on Sunday, denying a dramatic United States fightback to complete an emotional 17.5-10.5 upset victory. Reigning British Open champion Molinari defeated five-time major winner Phil Mickelson 4 and 2 as Europe took an insurmountable edge over the favoured Americans, including point-less flop Tiger Woods, in the biennial team showdown at Le Golf National. 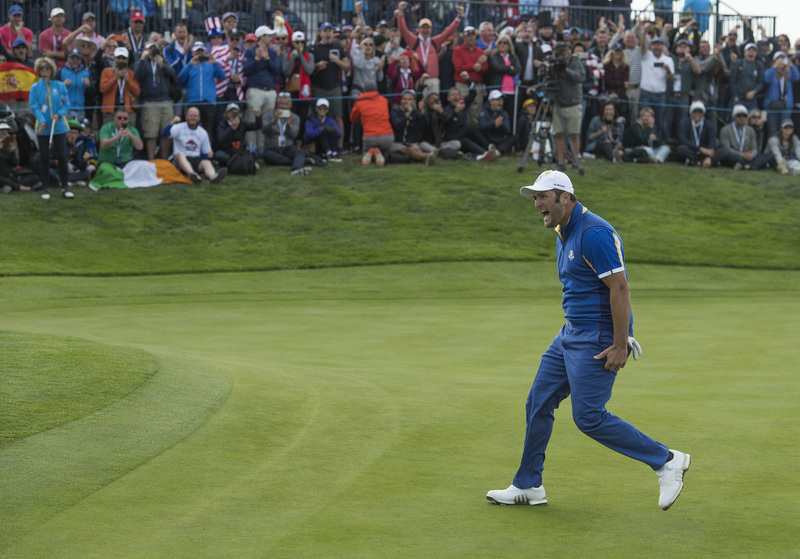 "It was amazing," Molinari said. "It's an incredible achievement. We did just an amazing job." In the process, Molinari, who had been winless in six prior Ryder Cup matches, became the first European and only the fourth player ever to go 5-for-5 in a Ryder Cup and did so just two months after hoisting the Claret Jug. "It feels great but it's not about me," he said. "It was about time to have them but it's about the group not the individual. I couldn't even dream of a summer like this." 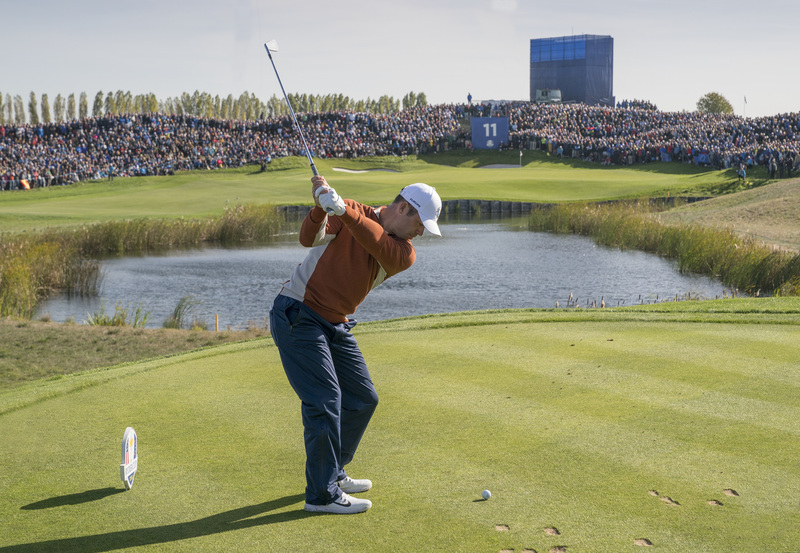 Europe had seized a 10-6 edge in Saturday's foursomes and fourballs matches and got the points they needed to swipe the trophy after an early US surge. Every European player won at least once in the event. "The attitude they had was unbelievable," Europe captain Thomas Bjorn said. "There was a moment when I thought this was going a little bit wrong but when we got our momentum going it went very quickly." It turned out to be the most lopsided European triumph since an 18.5-9.5 victory at Ireland's K Club in 2006. The US team, needing a record-tying comeback to keep the Cup, found no French magic to equal Europe's 2012 'Miracle at Medinah' or the Americans' 1999 'Battle of Brookline' win. "Their captain did a better job than I did," US captain Jim Furyk said. "Their players played better. We just have to tip our caps." Woods, a 14-time major champion who snapped a five-year win drought last Sunday, went 0-4 after being hailed as the star attraction. "Very disappointing," Woods said. "To have a Ryder Cup end that way, for me personally, it doesn't feel very good because I didn't help my teammates earn any points." Woods noted his run of playing seven of nine weeks coming into France, saying: "A lot of big events and a lot of focus, a lot of energy, goes into it." Team USA, who haven't won in Europe since 1993, lead the all-time rivalry 26-14 with two drawn but the Europeans' ninth victory in 12 attempts gave them an 11-8 with one drawn edge since expansion from a British-Irish squad after 1977. 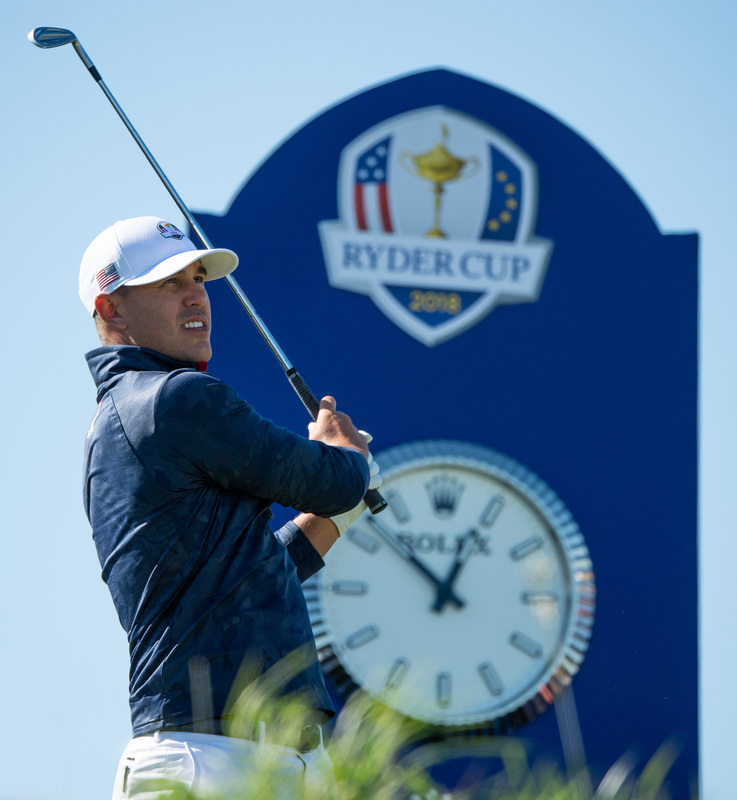 The Americans pulled within 10.5-9.5 before Europe's first singles victory by Danish rookie Thorbjorn Olesen, who beat three-time major winner Jordan Spieth 5 and 4. Spain's Jon Rahm followed by downing Woods 2 and 1, snuffing out any US momentum. Rahm, who led after all but one hole, pumped his fists and screamed with joy after his clinching four-foot birdie putt left Europe two wins from victory. "To beat Tiger, one of the greatest players of all time, for the pivotal point, it's the best feeling of my life," Rahm said. England's Ian Poulter birdied the 18th hole to beat top-ranked Dustin Johnson 2-up and put Europe on the brink. That set the stage for Molinari to clinch the win, making his 5-for-5 history after Mickelson found water at 16 and conceded, setting off a champagne-spraying celebration. Only Americans Larry Nelson in 1979 and Arnold Palmer and Gardner Dickinson in 1967 had gone 5-for-5 in 41 prior Ryder Cups. Spain's Sergio Garcia, last year's Masters champion who has struggled for the past six months, also made history, beating Rickie Fowler 2 and 1 to reach 25.5 career Ryder Cup points, breaking Nick Faldo's old mark of 25. "It's something that I never thought I would have the possibility of doing it," Garcia said. "And now that it has happened, I'm just so happy." America took three early wins, with Rory McIlroy finding the same bunker twice and water thereafter to lose the 18th hole and his match 1-up to US rookie Justin Thomas. Webb Simpson beat Justin Rose 3 and 2 and US rookie Tony Finau ripped Tommy Fleetwood apart 6 and 4, ending the Englishman's bid to match Molinari's 5-for-5 feat, while third-ranked Brooks Koepka halved with England's Paul Casey.